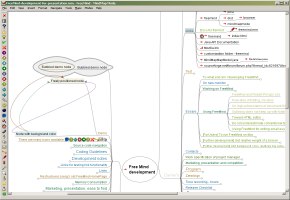 This is great software because it allows you to create mind maps of research projects and books. Once you get the hang of using it you will really like it. Leo Babauta has been a incredible model for me in the world of blogging. - Quit smoking (on Nov. 18, 2005). - Gone from a non-runner to completing several marathons and triathlons. - Written a novel and a non-fiction book. Life hacking is about working smarter, not harder. It's about finding tricks to hack your life to be more organized and get things done. It's an answer to the problems working in the 21st century brings. Manan Kotak is a 24 year old living in India. He was pulled into his family business of publishing, handling the advertising and revenue part while his brother took care of the rest. However, when his brother passed away due to an unfortunate accident, Manan had to learn and take over the departments his brother ran - circulation, administration, website, technology, stock market investment portfolio, etc. 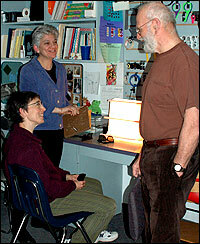 Continue reading Stereo Sue: 3-D Vision After All These Years (Listen to NPR Audio).